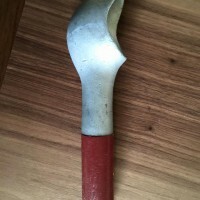 Vintage ice cream scoop – 1,170 ppm lead (in the scoop.) 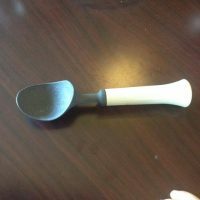 Here’s my post with lead-free ice cream scoop choices! For #SaferChoices for your family, click here. 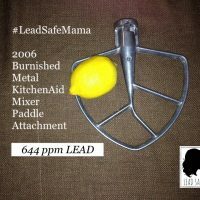 To make a contribution in support of my independent consumer goods testing and lead poisoning prevention advocacy work, click here. Thank you! 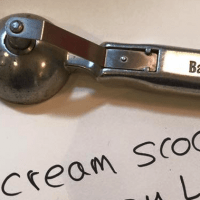 Baskin Robbins Brand Ice Cream Scoop: 1,040 ppm lead. Tested with an XRF instrument. 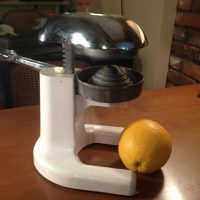 #XRFTesting If you have an interest in learning more about these posts (likely because you are new to my site!) please check out this post for a start! Thanks for visiting! 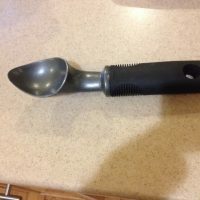 For #SaferChoices in ice cream scoops for your family, click here. Would you like some lead (or cadmium or arsenic) with that ice cream? 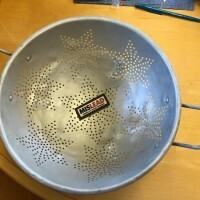 Ask Tamara: Could you recommend a colander?